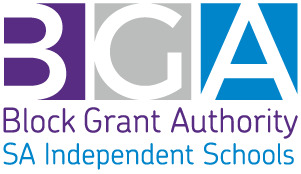 (b) The SAIS BGA has developed the Portal to facilitate access to and management of Commonwealth Government capital funding programs, including but not limited to, providing SAIS BGA Participant Schools access to information and advice. (a) The Portal is only available for use by current Member Schools of the SAIS BGA and includes current employees of each Participant School. (a) For employees of Participant Schools your username will be your School domain email address. The SAIS BGA will authorise your username for the Portal when you first access the Portal. The SAIS BGA may authorise non-School domain email addresses as usernames from time to time. (b) You will be asked to choose a password for your assigned username. You are responsible for the activity that occurs under the username assigned to you, and must keep your chosen password confidential, secure and updated. (c) You must not use the username and password of another person at any time, and must not disclose your password to any other person. (d) You must notify the SAIS BGA immediately if you suspect any unauthorised use of your username or access to your password. (e) You are solely responsible for any and all use of your username, and therefore you are liable to the SAIS BGA for any losses sustained by it as a result of any unauthorised use of your username or password (and you may be similarly liable to other third parties). For the avoidance of doubt, you acknowledge and agree that the SAIS BGA assumes no responsibility or liability for losses caused by unauthorised use of your username or password. (a) You may only use the Portal for the purposes set out in 1.1(b) above. (b) You are not permitted to use the Portal for any other purpose, unless the SAIS BGA provides written consent. The SAIS BGA reserves the right to remove any material or content uploaded by you which in its sole discretion is deemed to be for any other non-educational purpose, without prior notice. Uploading any other content, or using the Portal for any other purpose, may result in your entitlement to access the Portal being suspended or terminated. (c) You understand and acknowledge that the SAIS BGA is permitted to use the Portal for the purposes set out in 1.1(b) above. Except as expressly intended by the functionality of the Portal, you must not alter or modify any part of the Portal without the prior written approval of the SAIS BGA. (a) Use of the Portal for unlawful, illegal or otherwise prohibited activities, including but not limited to distribution of material which infringes the intellectual property rights of the SAIS BGA or third parties, circulation of pornographic, defamatory, racist or otherwise objectionable material or collecting details of Portal users by any means whatsoever for the purpose of sending unsolicited email or any other form of unauthorised solicitation, is prohibited. (d) The SAIS BGA expressly reserves the right to take any action deemed necessary in respect of any Prohibited Content or Prohibited Activities or other illegal or unauthorised use of the Portal by any person, including removing Prohibited Content without notice, referring matters to appropriate authorities for further investigation (such as the police) and appropriate legal action. You must immediately notify the SAIS BGA’s Executive Officer if you become aware or reasonably suspect that any User Content submitted by a Portal User is Prohibited Content, or that any Portal User is engaging in Prohibited Activities, or proposes to do so. (a) Please carefully choose the information, materials, submissions and content that you post on or through the Portal (including any text, files, images, photos, videos, sounds, musical works, literary works, artistic works, applications or any other material (User Content), and ensure that it is not Prohibited Content or otherwise objectionable. (c) You understand that the SAIS BGA is under no obligation to monitor use of the Portal for Prohibited Content, inappropriate User Content, Prohibited Activities or other inappropriate conduct by Portal users, and assumes no responsibility for (including no responsibility for modifying or removing) any User Content submitted by, or conduct undertaken, by any Portal users. Despite this, the SAIS BGA will use its reasonable endeavours to monitor the Portal in this manner. (iii) Ensuring that all User Content that you submit on or through the Portal, and any material or information that you transmit to other users, complies with all applicable data protection and privacy laws. (e) You acknowledge that a purpose of the Portal is to act as a digital archive of the SAIS BGA, and understand and agree that any User Content you submit will remain on or accessible through the Portal even after you leave your employment with a Participant School. As an employee of a Participant School, this clause 5.1 applies to you. (a) You retain ownership of all rights (including intellectual property rights) in any User Content which you generate, display, post, upload onto, publish or otherwise submit through the Portal. (b) By uploading or submitting any User Content via the Portal, you grant to the SAIS BGA and all users of the Portal (both current and future) a non- exclusive, perpetual, irrevocable, worldwide, fee-free, royalty-free license to use, archive, reproduce, modify, perform, display and distribute or otherwise use, exploit or dispose of the User Content you have submitted (License). (ii) will continue in perpetuity notwithstanding the fact that you may at any time request that the SAIS BGA remove any User Content you have submitted on or through the Portal. (d) The License granted to the SAIS BGA is transferable and may be assigned or sub-licensed by the SAIS BGA to any third parties without your consent. The License granted by you to other Portal users is personal to each user, and may not be assigned, sub-licensed or otherwise dealt with by them. (iii) The User Content contains nothing which is defamatory, obscene, false, misleading or deceptive and does not breach any statute or other law or regulation, including but not limited to applicable child protection, privacy or intellectual property laws. You must pay all royalties, fees or any other amounts owing to any person or other third party in respect of any User Content submitted by you on or through the Website and/or Portal. (f) For the avoidance of doubt, you acknowledge and agree that you are not entitled to upload, embed, post, email, transmit, submit or otherwise make available any material through the Portal that does or may reasonably infringe any intellectual property rights (including, without limitation, copyright and registered or unregistered trade mark rights) of any party. The SAIS BGA expressly reserves the right to immediately remove such material from the Portal, and can in its discretion suspend or terminate your entitlement to access the Portal..
(iv) A statement that you are the owner of the relevant intellectual property rights, or authorised by such owner to act on his/her behalf. (h) The SAIS BGA will, if requested by you, remove any User Content you have uploaded or submitted via the Portal. You acknowledge that clause 5.1(c)(ii) applies to such removed material. If you are a staff member of the SAIS BGA AISSA, this clause 5.2 applies to you. (a) The SAIS BGA owns all User Content generated by you (Staff Content), in accordance with the terms of your contract of employment with the SAIS BGA or the AISSA. .
(b) For the avoidance of doubt, you acknowledge and agree that the SAIS BGA is entitled to use, modify, adapt, further develop and exploit Staff Content you create in any manner and in any medium and for any purpose it determines in its sole and absolute discretion. (c) You acknowledge and agree that you are not entitled to upload, embed, post, email, transmit, submit or otherwise incorporate into Staff Content or make available any material through the Portal that does or may reasonably infringe any intellectual property rights (including, without limitation, copyright and registered or unregistered trade mark rights) of any party. The SAIS BGA expressly reserves the right to immediately remove such material from the Portal, and can in its discretion suspend or termination your entitlement to access the Portal. The SAIS BGA retains ownership of all rights, including without limitation intellectual property rights in the Website, Portal, Staff Content and any text, file, images, photos, videos, sounds, musical works, literary works, artistic works, software, source code, applications or any other material displayed on, or otherwise incorporated into the Portal (SAIS BGA Content). The SAIS BGA grants you a revocable, non-transferrable licence to reproduce, display and use the SAIS BGA Content solely for your personal and educational use and solely for the purposes of utilising the functionality of the Portal. You are solely responsible for your interactions with other Portal users (and includes interactions on the SAIS BGA’s media platforms including but not limited to Twitter, LinkedIn), and you acknowledge that though it reserves the right to do so in its discretion, to the extent permitted by law, the SAIS BGA is under no obligation to become involved in any way in any disputes between you and other Portal users. To the fullest extent permitted by law, the SAIS BGA is not responsible for, and makes no warranties (whether express or implied) regarding any User Content (including but not limited to its accuracy or reliability) submitted on or through the Portal and media platforms as per clause 6.2. User Content may not reflect the policies or opinions of the SAIS BGA, and to the fullest extent legally possible, the SAIS BGA is not responsible for the conduct (whether online or offline) of any Portal user. (a) The SAIS BGA will comply with its Privacy Statement (available at http://ais.sa.edu.au) in respect of all Personal Information about you which may be made available to it as a result of your use of the Portal. “Personal Information ” as referred to in this clause means your personal details (including name, gender, date of birth, contact details) and any other data and information which may directly or indirectly result in you being personally identifiable. (b) You acknowledge and agree that the SAIS BGA is not responsible for the privacy practices or policies of websites or other services operated by third parties that are linked to, integrated with, or available from (whether as a result of User Content or otherwise), the Portal. (a) You acknowledge that the SAIS BGA may collect non-Personal Information about you, including but not limited to your IP address and browser type, which will be used for any purpose which the SAIS BGA may in its sole discretion from time to time determine, including but not limited to security purposes, to monitor usage of, and to manage and improve, the Portal..
(i) In your discretion, you can choose to provide or store Non-Personal Information in your user profile, including but not limited to your hobbies or interests (Profile Information). You must not include Personal Information in your Profile Information unless specifically requested to do so by the functionality of the Portal. (ii) Any Profile Information is provided at the sole discretion of the Portal user and the SAIS BGA has no responsibility or liability whatsoever in connection with any Profile Information made available by any Portal user. (a) To the fullest extent legally possible, in no circumstances will the SAIS BGA be responsible for any problems, failures or technical malfunctions of any telephone lines or networks, computer online systems, servers or providers, computer equipment, software or any other object or material, related to use of the Portal, including but not limited to damage resulting from the download of any User Content, SAIS BGA Content or other material as part of your use of the Portal. (b) The SAIS BGA expressly disclaims, to the fullest extent permitted by applicable laws and regulations, any statutory or other warranty or guarantee, including but not limited to warranties of merchantability or fitness for purpose. The SAIS BGA cannot guarantee, and does not promise, any specific results from use of the Portal or the Website. In no circumstances shall the SAIS BGA be responsible for any loss or damage, including personal injury or death, resulting from use of the Portal, from any User Content submitted on or through the Portal, or from the conduct of any Portal user, whether online or offline. (c) While the SAIS BGA and the AISSA staff make every effort to provide and publish accurate information and advice, the SAIS BGA expressly disclaims, to the fullest extent permitted by applicable laws and regulations, that the information and advice contained in the Portal is not intended to be a comprehensive review of all developments and legal requirements, or to cover all aspects of those referred to. Readers should take advice (including legal advice) before applying the information contained in the Portal to specific issues. The SAIS BGA, nor any SAIS BGA or AISSA staff, accepts any responsibility whatsoever for any acts or omissions resulting from reliance upon the information and advice contained in the Portal. Subject to clause 8.1, to the maximum extent permitted by law, the AISSA excludes all warranties, terms, conditions and guarantees regarding the Portal and any other goods or services supplied or provided by the AISSA in connection with the Portal which are implied by law (including the general law) or custom. To the fullest extent permitted by applicable laws and regulations, the AISSA will not be liable for any direct, consequential or indirect loss suffered by you or any other party arising from your use of the Portal, including but not limited to the access or download of any User Content of another Portal user, AISSA Content or other material. (a) You are liable to the SAIS BGA for any loss sustained by SAIS BGA (including any third parties) as a result of you unauthorised use or disclosure of your username and/or password. (i) Your use of the Portal. (a) If you are an employee of a Participant School or employee of the SAIS BGA or the AISSA, your ability to access the Portal will end when your employment ends unless you become employed by another Participant School and you register with that School domain email address, or the SAIS BGA provides you with written consent to continue to access the Portal. (b) The SAIS BGA may terminate your ability to access the Portal at any time, in its sole discretion, for any reason (including no reason), and without prior notice or explanation, and without any form of liability whatsoever to you or any other person. (ii) to reject, refuse to post, or remove any posting made by you, or User Content uploaded by you, or to deny, restrict, suspect, or terminate your access to all or any part of the Portal at any time, for any reason (including no reason), and without prior notice or explanation.